Krakow’s startup community was looking for a way to promote the upcoming Krakow Startup Week 2017 event. They wanted a gig that would be easy to partake in, be entertaining and engaging, so that particular days of the event could be attended by as many people as possible. 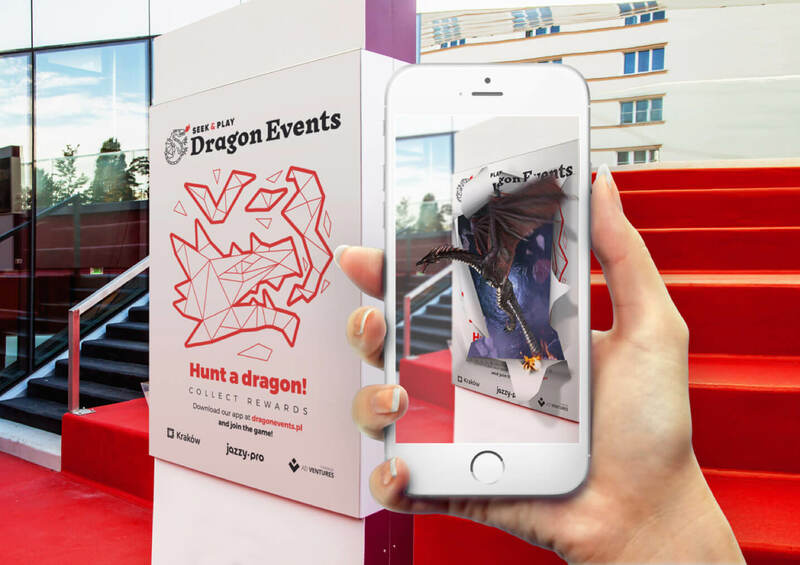 Having participated in such projects in the past, Jazzy suggested building an Augmented Reality app to entertain the public and engage the most active visitors in a contest with special awards. And with Krakow being a famous medieval city with centuries of traditions and myths, it was only natural that we picked an appropriate theme based on dragons and legends. 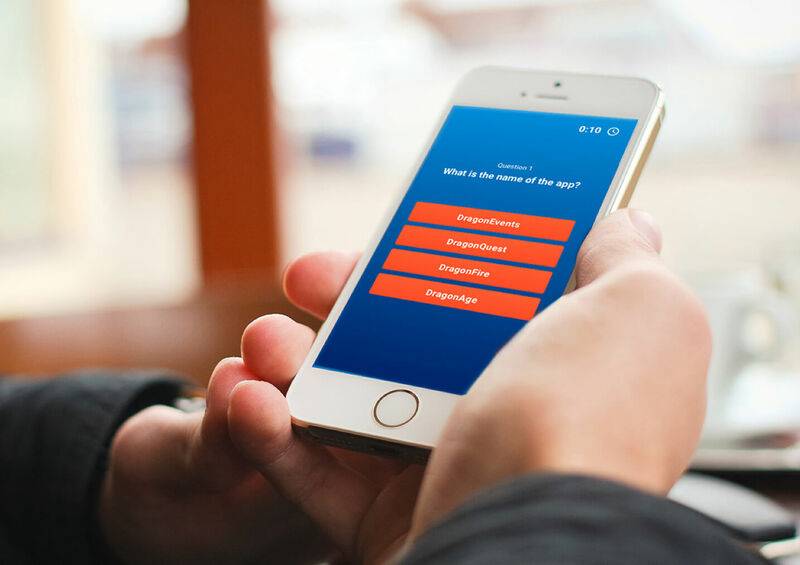 We came up with an idea of using a mobile app with a really simple user flow. Users had to find special posters during the 5-day event and scan them using the mobile app. Playing a dragon animation would unlock a question. Answering it correctly gave the visitor some points. Three correct answers and you have a beer. The best scores win prices. We prepared 6 posters that were used as markers by our mobile app. After scanning a poster, the user saw a beautiful 3D animation of a dragon tearing it apart. We used 6 different themes like ice, gold, fire, and plants. The VFX part turned out to be really impressive. To create the effect of a poster being torn apart, we used two components: 3D dragons and 2D animations of posters being destroyed. Everything worked smoothly and users could fully experience the magic of augmented reality. You can check it on our test videos below. 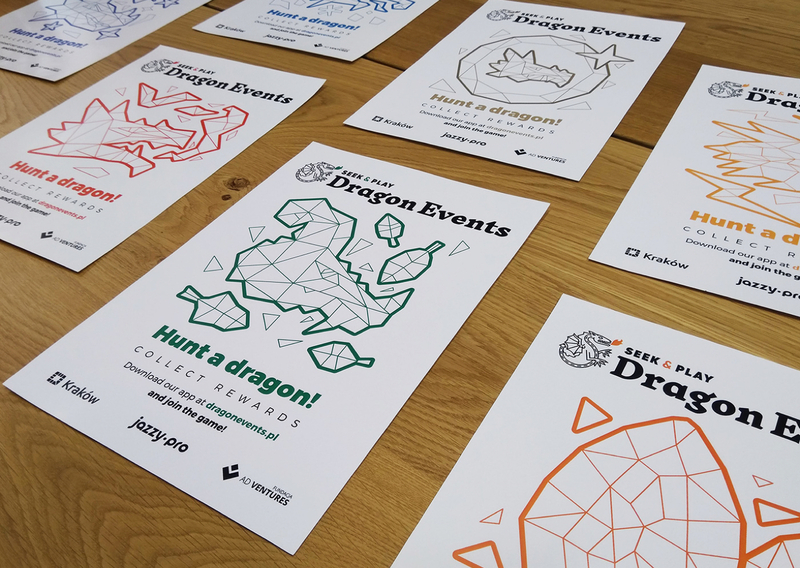 We designed and developed a mobile app with the entire contest system, including registration, a full game flow involving poster scanning, unlocking questions and answering them, a section for entering special coupons provided by event organizers, and a component that determined the most active dragon hunter worthy of the grand prize. 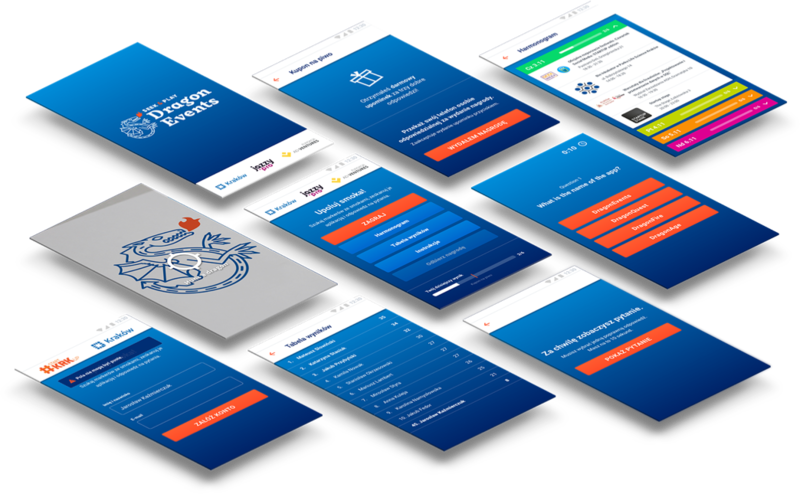 While developing the app, we focused on usability, ease of use and app stability. 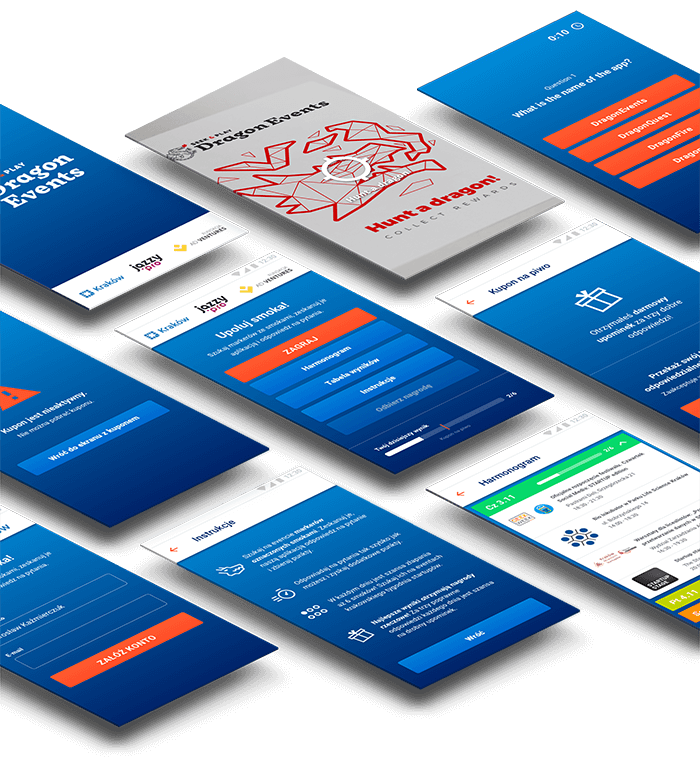 We also made it possible to view the event’s agenda right from within the app to encourage people to attend startup events. 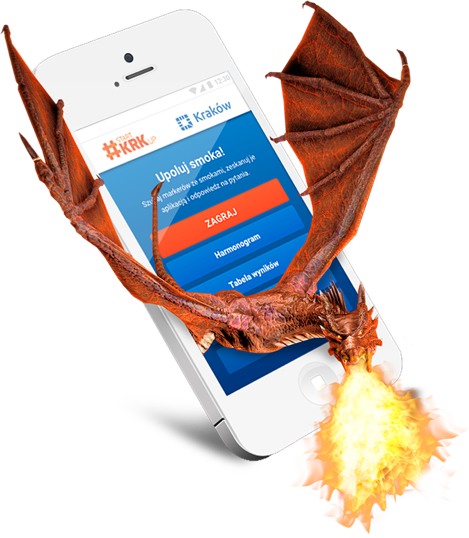 The app was introduced to the public at Start KRK UP - Krakow Startup Week 2017. 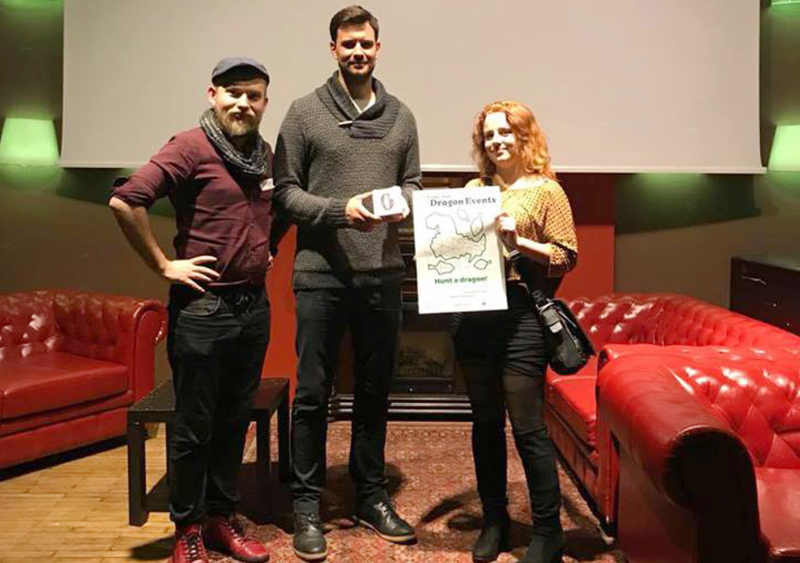 The solution proved to be a great success, and many people were happy to hunt dragons at the event and compete for great prizes like a modern air purifier, which also contributed to the event’s excellent attendance. The organizers of Krakow Startup Week 2017 very satisfied with the proposed concept and the fact that people really had fun at the event. For Jazzy, it was a great opportunity to build a perfectly working and engaging augmented reality app.